Cleaning both the chiller and recirculation arm together. The manual for the Grainfather says to do a recirculation clean through the chiller and the recirculation arm but only one can be connected at any one time. Instead of doing this, I connected the two up together to save 10-20 minutes (depending on your recirculation clean regime) cleaning time so now it’s one recirculation with cleaner and then another with hot water. 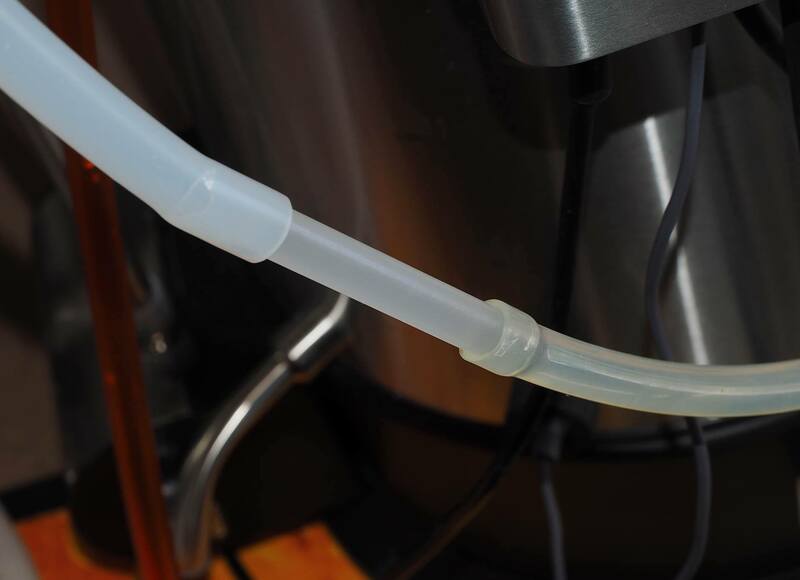 Pretty easy mod too – a little piece of bottling wand fits nicely from the recirculation arm hose to the wort out hose on the chiller. 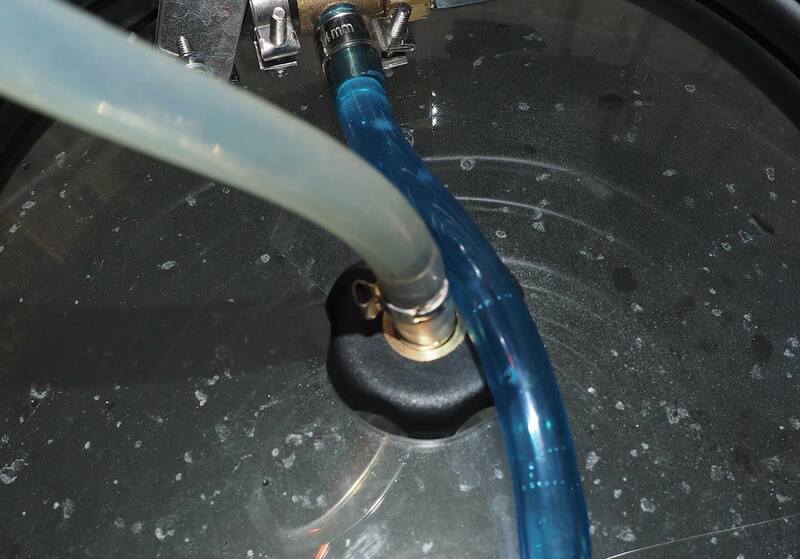 Then simply position the wort in hose of the chiller (with the screw nut) over the hole in the lid and use the cold water hose to sit on top to effectively lock it down. A simple mod – bit of bottling wand. Nick, I just hook the wort outlet hose to the barb on the wort return arm. No need for any pipe connection that way. Nice pimp on the urn. Hi Martin, thanks for the comments about the urn. Hmm, you may have a point on that wort return arm – cheers! 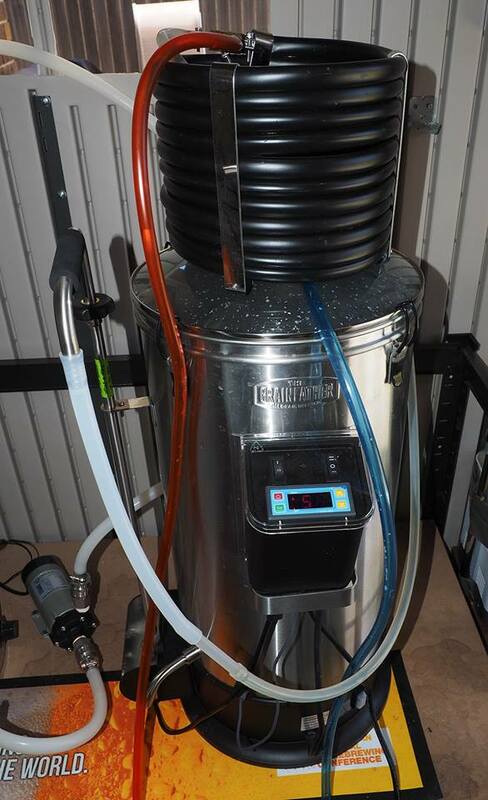 Hi guys, I just assembled my unit..and after reading the above realised the wort out hose coming out of the chiller actually fits snugly inside the hose on the wort return arm…no clamps needed or anything! Nice work mate. Enjoy the GF!